Is the moon simply a symbol for romance? The phase of the dream moon. The proximity of the moon, either to the dreamer or to the earth. Personal associations with the moon. Finally, one should pay attention to any type of odd moon behavior, such as the dream moon rapidly contracting and expanding, or one that runs through its cycles in seconds instead of a month of days. Moon dreams often symbolize the intuition, alerting the dreamer that constant, conscious analysis can be set aside in favor of quietly allowing one's self to perceive and receive the information already known to the unconscious mind. As a symbol of intuition, the moon may also herald the growth or bursting forth of intuitive abilities long held in check. The phase of the moon in a dream can give insight into how one's intuitive self is developing. For example, a tiny, fingernail-like crescent moon can indicate that one is entering into a fresh, new relationship with the unconscious and intuitive nature. A full moon indicates full receptivity to the intuition. Receptivity, while a passive action, is still an active concept—one must be open in order to receive, not shut down. Part of receptivity involves trust, another aspect of intuition that the moon phase can indicate. One may have intuitive impulses all day long, but without trust, one is still shut down, unable to act on the information the unconscious delivers. What do the tides have to do with emotions? Water is the symbol par excellence of the emotions and therefore tides, as water in motion, symbolize emotional movement. Tides are controlled by the moon—a force wholly outside of their watery realm. 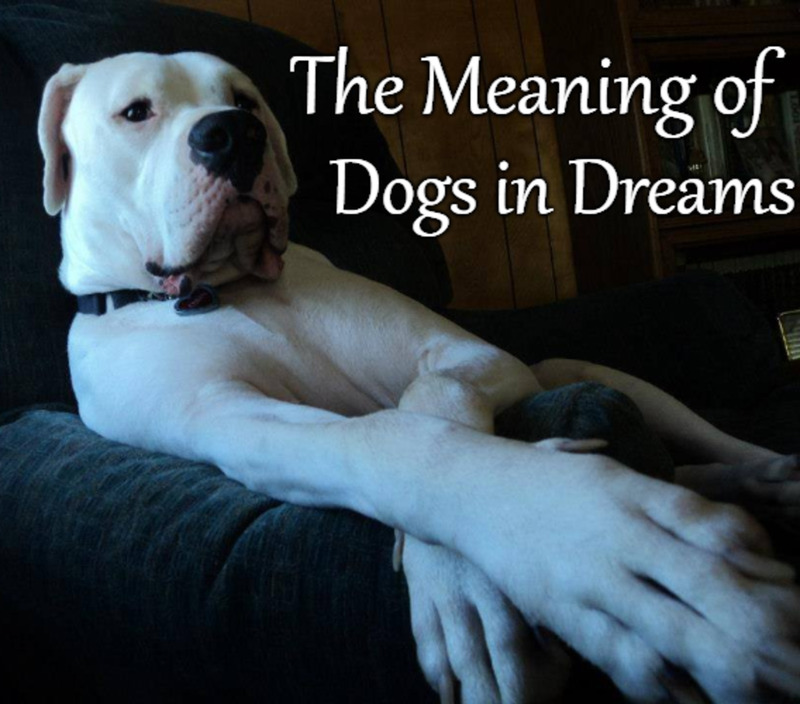 The dreamer might examine if his or her emotions are similarly controlled by some outside force. Whereas some outer life circumstances naturally provoke an emotional reaction, such as the way death elicits grief, all too often one's emotional control is unnaturally predicated upon the actions of others. 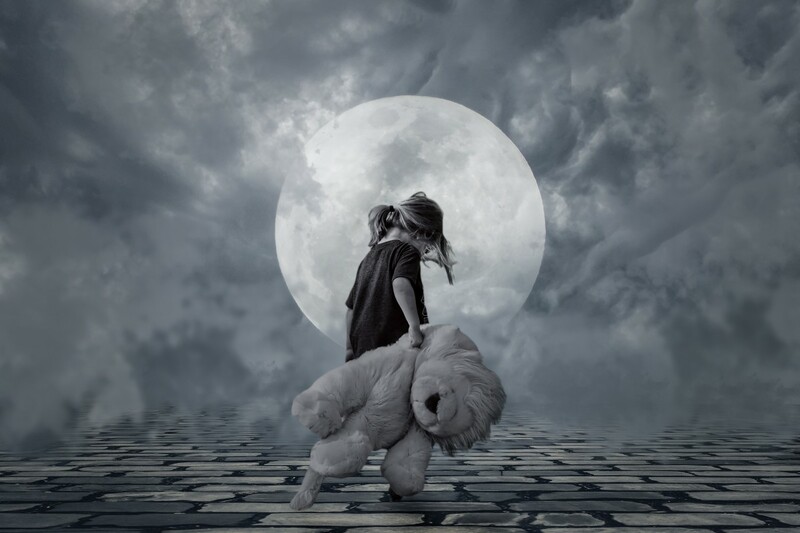 One might look to moon dreams as a call to examine how in touch with and how in control one is of the emotional life. The extent to which one maintains emotional control is proportionate to the amount of personal power one has in one's life. If one's emotions are controlled by outer forces or people, those forces or people are the very ones to which personal power has been ceded.. Prior to the advent of electricity, a woman's monthly rhythms harmonized with the moon's phases. 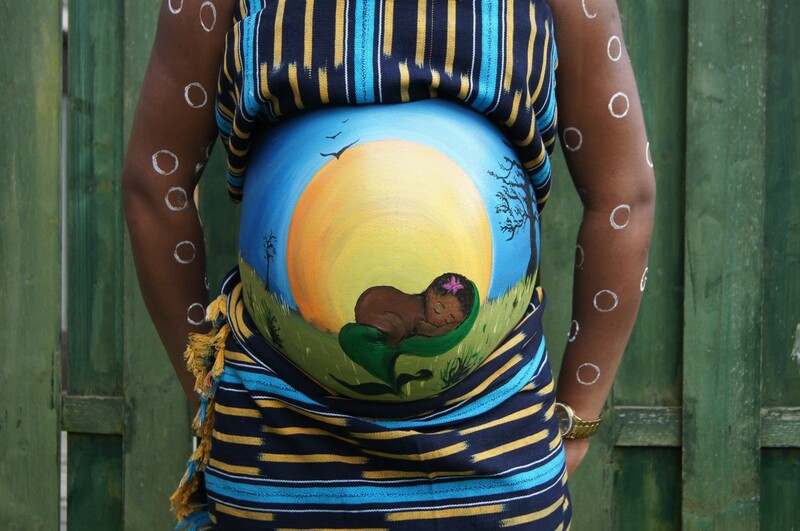 Since a woman's cycle is the basis for determining fertility, the moon in dreams can symbolize that same fertility. 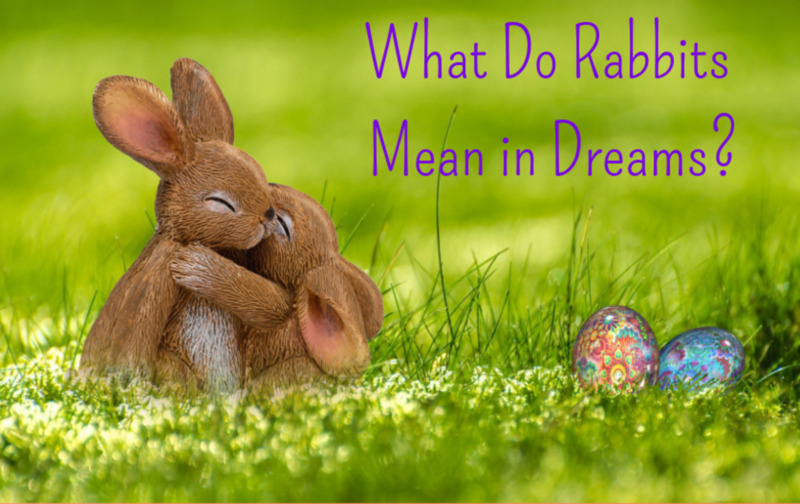 Dream fertility does not necessarily equate to actual, waking life fertility. 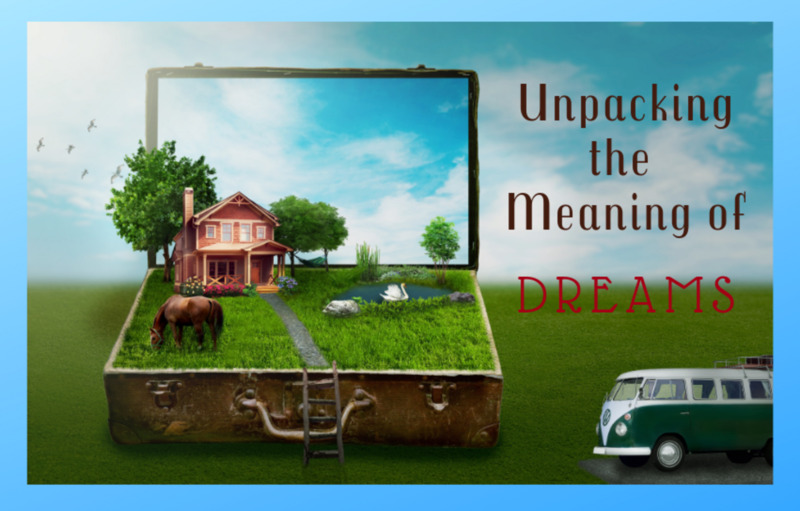 Dream fertility refers to more to the state of mental fertility, that state wherein the dreamer is allowing the creative impulse to flourish, where an idea's germination has found a place in which to prosper and grow, unimpeded. So how does the moon's proximity affect interpreting it as a dream symbol? How near or far the moon is from the earth can indicate the degree of closeness one has with one's unconscious. It can indicate the unconscious and the conscious mind are familiar friends or distant enemies. The moon's distance from the earth can indicate the gulf between the conscious and unconscious. The greater the gulf, the more the likelihood exists that the unconscious is projecting shadows onto the waking world. But the symbolism found in the moon's distance from the earth is not limited to defining the relationship between the unconscious and the conscious. The distance of the moon from the earth can also symbolize feelings of emotional distance if the moon is far from the earth. When close, it can indicate qualities of emotional connectedness, of feeling satisfied with one's relationship to the waking world. A phase is a distinct stage in a process of change. 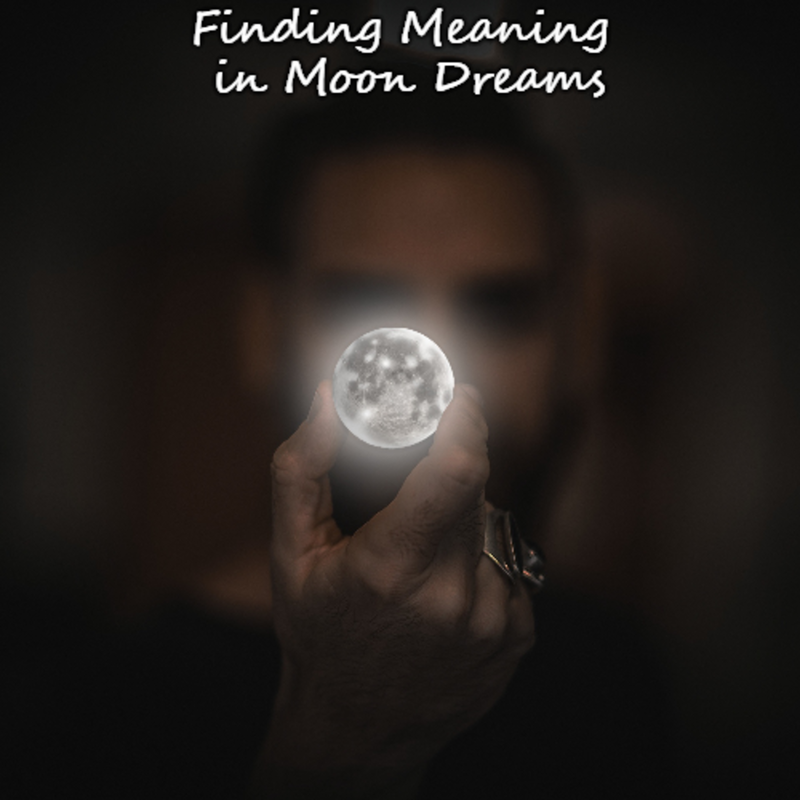 The moon's phase in a dream can indicate where one is in a particular stage of development and can give some key information regarding how to interpret the moon as a dream symbol. Nascent stage, something that is just coming into existence, something full of hope and potential, the infancy of something. Feelings of renewal, a resurrection of life after discarding outdated modes of being. Crescent moons indicate the fragility of beginning, a time when that which is growing needs nurture and care so that it may safely grow to the fruition indicated by the moon's fullness. Progress in a certain waking life area is happening, but more growth is necessary before maturation is met. Halfway there! Just a little more work before completion. Completion, fruition. Dormant ideas in the unconscious are fully ready for birth in the outer world of form. 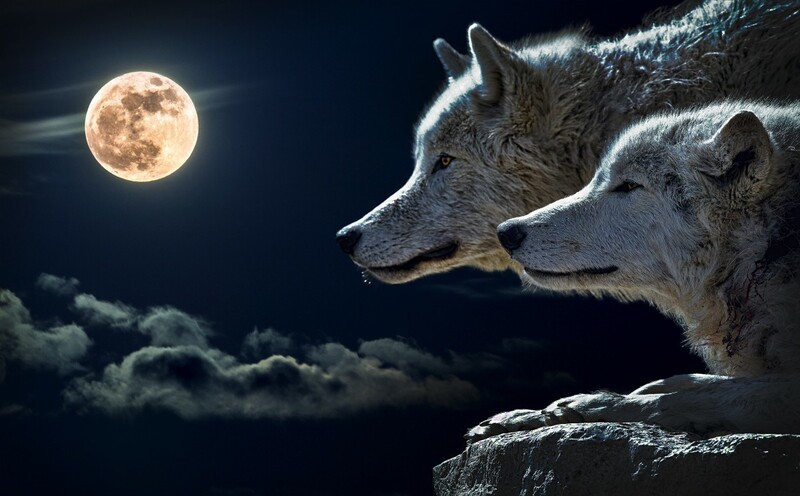 When related to intuition, a full moon indicates that the dreamer's intuitive awareness is fully developed. Sometimes dream moons act outside what is possible in reality. The moon may appear to expand and contract, mercurially moving through stages from crescent to full moon with supernatural swiftness. This kind of dream moon may indicate that something is quickening within the dreamer at an advanced rate. Change, perhaps bold, unexpected change, can be indicated by such a dream. 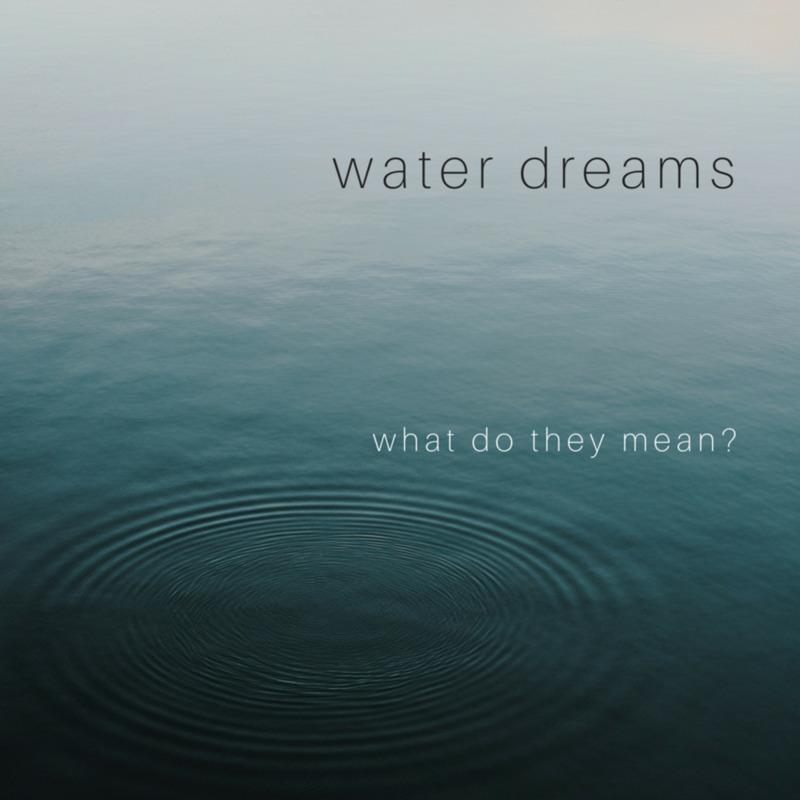 Moon dreams can give the dreamer insight into what is taking place in the unconscious by standing in for archetypes such as the anima or the syzygy. The anima archetype is the hidden female inside the male. 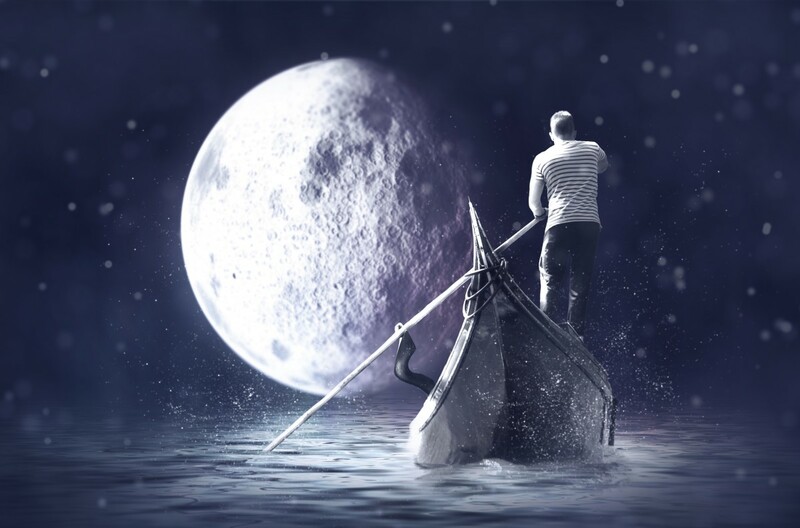 The phase of the moon in a man's dream can indicate how well he is progressing with regard to anima integration and/or the degree to which his conscious mind relates to the unconscious. The moon, according to Swiss psychiatrist and founder of Jungian analytical psychology, Carl Jung, is also a symbol of the archetype known as the syzygy, which is an archetypal union of the male and the female. Why does the moon function as a symbol of conjunction between conscious and unconscious? Because the moon's light is actually the sun's property! Without the sun, there is no moonlight. But without the moon, the sun has no ability to shine in the dark of night. The moon acts not only as a passive, female, receptive entity, but also functions in the capacity of active, masculine projector. The sygyzy is the archetype of the perfect conjunction of the masculine and the feminine, of the active and the passive. The moon's ability to both receive and project make it a beautiful expression of the sygyzy—one we can see by simply looking up into the sky on a clear night. What Do You Believe the Moon Symbolizes? 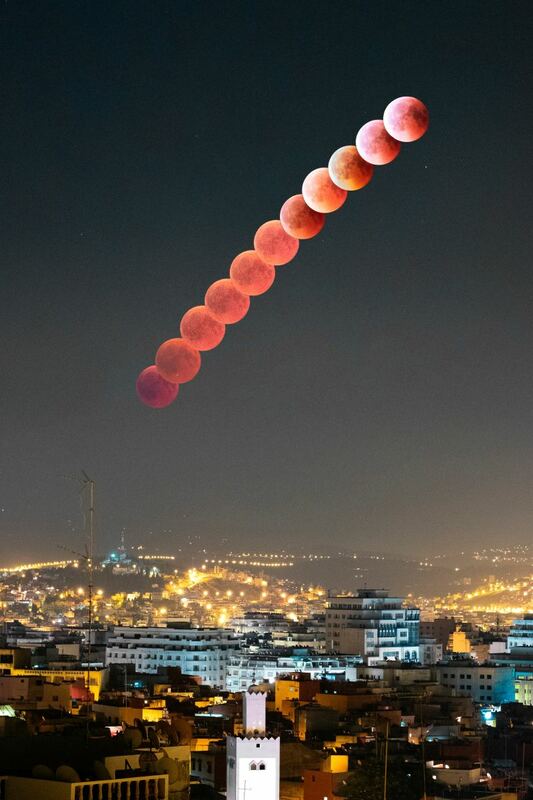 A meteor hit the "blood moon" during the lunar eclipse: Get the facts. This link contains one of my favorite anecdotes regarding the manner in which Jung treated his patients. 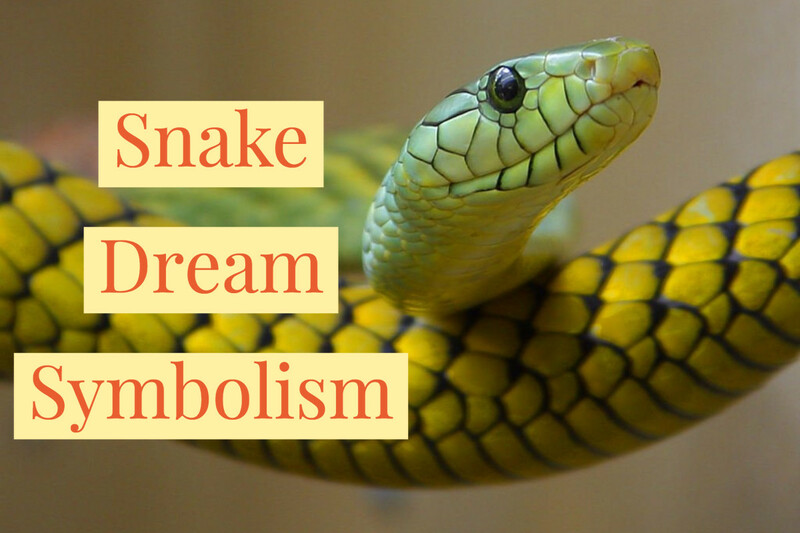 Learning about the mythology and folklore of symbols is a great place to begin interpreting dreams. 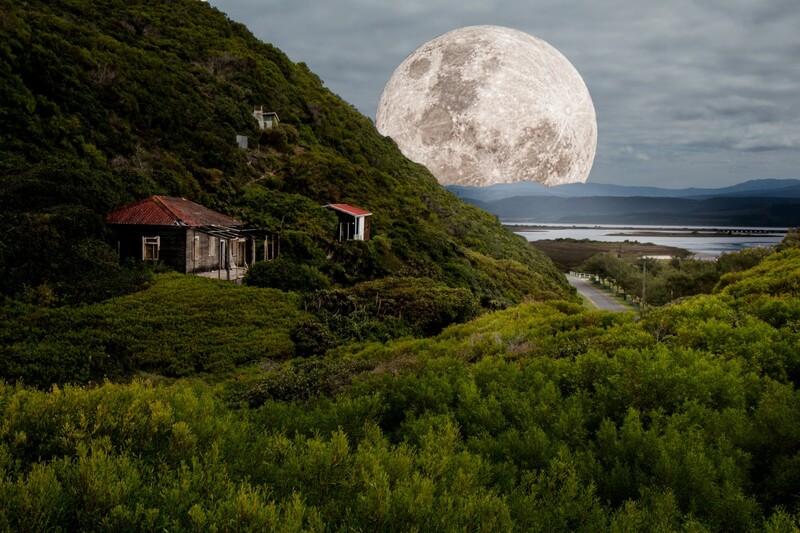 This article examines the myths and legends of the moon. Hi Anita, thanks for writing. 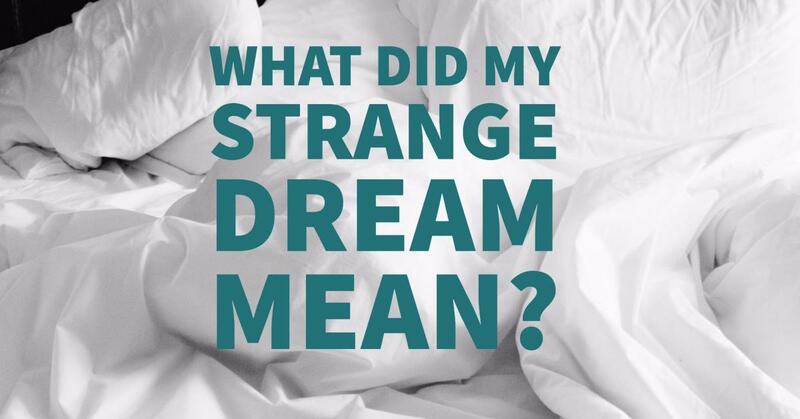 Can you give me any more details about your dream? Today I saw big orange moon with the sunny-like center that resembled burning sunrays. While it was crossing the night sky I heard the woman voice speaking to me over the phone. She said that the fact that I see this moon is very significant (I can't remember the exact words). In this dream the moon was not like calm cold object, rather like a sister of Sun. Hi, I had a dream that I was driving toward a very beautiful, large orange moon which was very close to earth. Would love to know your thoughts on what this could mean. What does it mean if me and my boyfriend were on a hill looking at the full moon and it seemed to be right next to us? So sorry Robert. I have been dealing with heath issues, so I've been out of touch, not being rude! great.it's good to know that there are people who love to see stars and planets.life is so busy.people hardly find time for all these things but these things are true beauty of nature.do you think that our existing technology is better? we can travel in space but we still don't know if the universe has edges or not.what do you think about this? i really like this topic. So do I. I'm looking to get a great pair of binoculars or a telescope so I can see more stars and planets. it's also my favorite time.i also like stars and black sky.i like calm atmosphere. I love that moon gazing photo as well. I spend a great deal of time outside at night--nighttime is my favorite time and the moon rocks, pardon the pun! i like the moon gazing photo.i like moonlight.it's always good to walk in the moon light.i believe the moon symbolizes creativity. That's funny, Esme. I used to think the same thing! You can look up at the sky and tell how far away the full moon is by sight? That is actually amazing. You are probably very in tune with your intuition and emotions as well, I would bet. That's much more difficult than it sounds! Very interesting. I've not had 'moon' dreams, but I look at the moon every night. I can predict how many days away the true full moon will shine. I have not been wrong ever in my life. I chalk it up to the minimal amount of Cherokee blood that flows thru my veins.